Chiropractic services aren’t solely for people dealing with pain. Our primary mission is to promote wellness and preventative therapy within our community. Here at Advanced Chiropractic Solutions, our patients range from infants to the elderly; no matter your age, we are here to assist you! Both literally and metaphorically, your spine is the backbone of your entire body. The spine is an important and integral part of your body, and any misalignments in your backbone have the potential to affect many different parts of your body, sometimes areas that may often seem completely unrelated. During your appointment, we will be able to determine where your problem lies and discuss the various treatment options available. We take pride in the fact that we are not your average chiropractic clinic. Prior to your adjustment, your appointment will begin with electrical muscle stimulation, trigger point therapy, and therapeutic stretching from a rehabilitation specialist. Chiropractic care can really make a world of difference to you! If you have any questions about how we can improve your overall quality of life, please don’t hesitate to contact us today at (402) 328-0028. 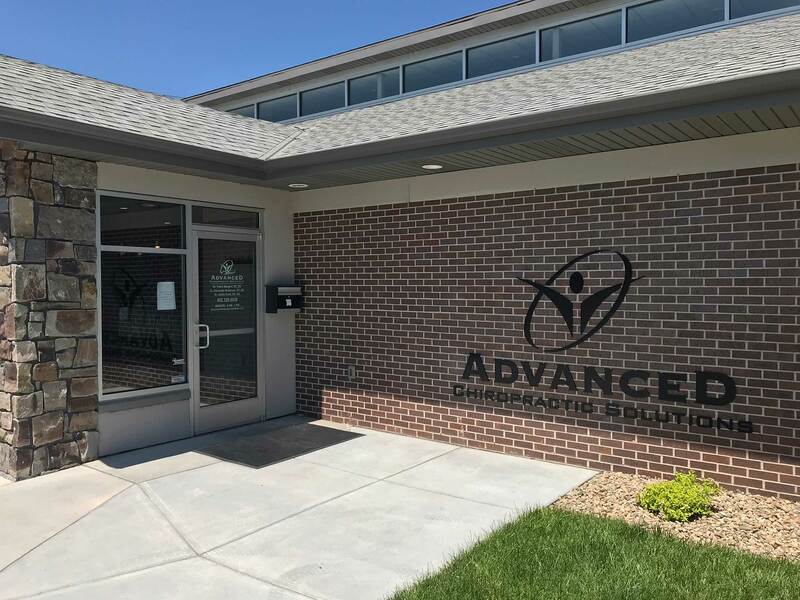 Contact Advanced Chiropractic Solutions to schedule an appointment or to request additional information about our services. We look forward to hearing from you.